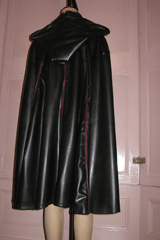 Hooded cape with piped seams . Front buckle fastening. 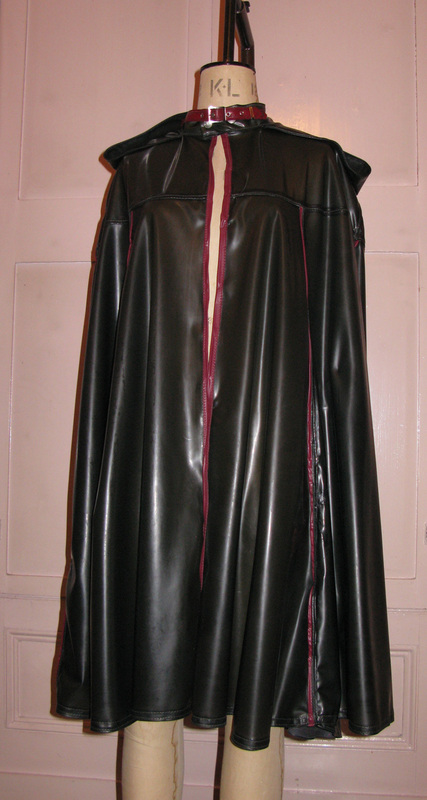 Featured cape colour Smoky Grey and Plum trim.